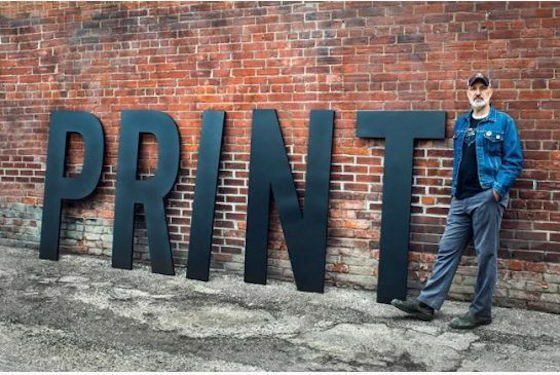 Writer and musician Dave Bidini is embarking on a new publishing project that has garnered support from authors such as Margaret Atwood, Guy Gavriel Kay, and Yann Martel. The West End Phoenix, an ad-free non-profit community newspaper, will service neighbourhoods in Toronto’s west end, from Parkdale to the Junction to Baby Point. Launching in October, the publication will subsist on yearly subscriptions of $56.50, as well as donations from patrons and supporters, which so far include Atwood, Kay, Martel, cartoonist Jeff Lemire, and a number of local businesses such as Balzac’s Coffee Roasters. Atwood also sits on the board and advisory council, along with J-Source managing editor H.G. Watson and Gladstone Hotel president Christina Zeidler. Bidini will serve as publisher, with former Globe and Mail staffers Melanie Morassutti and Susan Grimbly acting as deputy editor and senior editor, respectively. The broadsheet will be delivered door-to-door, and is “devoted to telling the stories of a diverse, compelling and quickly evolving catchment,” according to its website. Lemire, journalist Eman Bare, photographer Barbara Davidson, author Claudia Dey, playwright Michael Healey, and craft artist Kalpna Patel (of Type Books window-display fame) are some of the contributors named so far.